Goa is undoubtedly one of the most tourist frequented places in India. 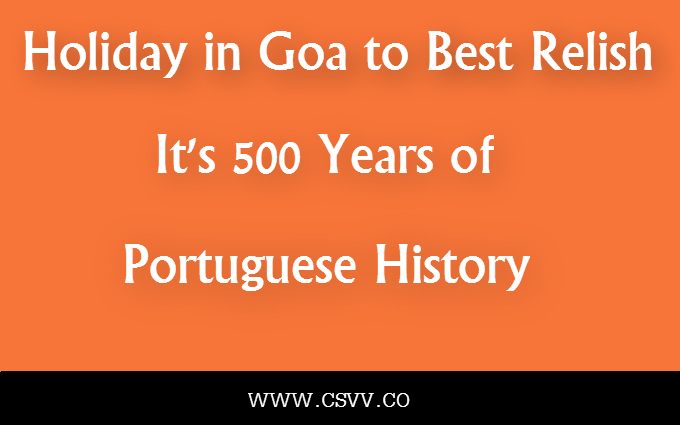 It is a beach destination that for a long time period was a Portuguese outpost on Indian soil. Today, the place is full of amazing tourist attractions from the past as well as the present. Head to the place to relish it all, and for lodgings pick from the best hotels in Goa. Goa is the smallest state in India and one amongst the most popular tourist destinations. Holidaying in the place is something that almost every backpacker in India longs for. It is one of the first favorites amongst the young travelers as the bewitching charm of illusory Goa parties, cheep booze, perfect sun-kissed beaches, thrilling adventure sports, educative heritage walk, larger than life carnivals and festivals, and a wide array of sumptuous cuisines is simply hard to muzzle down. Largely seen as a perfect holiday destination, the place is swarmed by large masses of tourists. It is one of the places that are flocked by domestic tourists as well as tourists from overseas alike, resulting into the laid back mood of the place it is today well-known for. Today, Goa primarily depends on tourism for its earning. A major percentage of the place’s revenue comes from tourism and the rest from fishing, trade, and a couple of other small industries. Taking advantage of its lucrative tourism industry, the hotel industry in the state flourished since the beginning of tourism in the place. Today, there are about as many hotels in Goa as there are schools. The good thing is that due to the large concentration of hotels, lodges, resorts, etc. the tourists are provided with multiple good lodging options to pick from, thus, making their stay comfortable and convenient. The O Hotel, Hotel Wildernest, Park Hyatt Goa Resort & Spa, Hotel Supreme, etc. are some of the top rated hotels to pick from. While most of the tourists like to start their tour with the beaches, there are other attractions like old Portuguese colonies, revered churches and cathedrals, temples, art and cultural centers, and many others that you might want to start your tour with. There are more than a dozen of Goan beaches, forming an almost unbroken 70 k.m. long coastline. Some of the popular beaches that you can visit are: Anjuna Beach, Colva Beach, Calangute Beach, Chapora, etc. These beaches are perfect to relish the sun, sand, sea, and sumptuous food as well as water-sports. However, if you crave tranquility, visiting beaches like Ashvem, Patnem, Mandrem, etc. is advisable. These beaches are less modernized, see less number of people, and often overlooked because of the dominance of other popular beaches. Yet, the tranquility and natural beauty that reside in them are simply heavenly. Also, it is no exaggeration to call the place a city of churches. In addition to highly influencing the culture, the nearly 500 years long reign of the Portuguese has also resulted into the construction of multiple churches and cathedrals; some counted amongst the oldest and most revered churches in the globe. A visit to churches like Se Cathedral, Church of Our Lady of Immaculate Conception, Bom Jesus Basilica, etc. is not only a soul refreshing experience, but it also offers a glance on the history and culture of the place. Accessing the place is quite easy. From flights to trains to buses, there are multiple modes to get into the place. The Dabolim Airport in Vasco is a state-of-art airport served by flights of SpiceJet, Go Air, Air India Airlines, IndiGo, etc. connecting the place to rest of India.